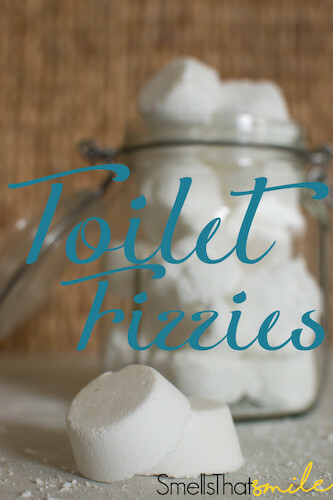 This DIY is a great way to make homemade product to freshen and clean your toilet. Personalize them with your favorite scents and drop them in after you go and let them fizz away. In a mixing bowl, stir together 1 1/2 cups Baking Soda and 1/3 cup Citric Acid. Set aside. With a Spray Bottle, mix in 1 Tbsp Hydrogen Peroxide, 1/2 tsp Distilled White Vinegar and 1/2 tsp Water. In the mixing bowl with the Baking Soda and Citric Acid, add 50 drops of Essential Oils. Mix Together. Slowly spray and mix together the Baking Soda mixture and the Hydrogen Peroxide Mixture. If it starts to fizz you are spraying to fast. Spray until you are able to clump the mixture together. With Mini Muffin Pan, lightly spray with leftover Hydrogen Peroxide Mix and add Baking Soda Mixture. Use your fingers and pack it in.